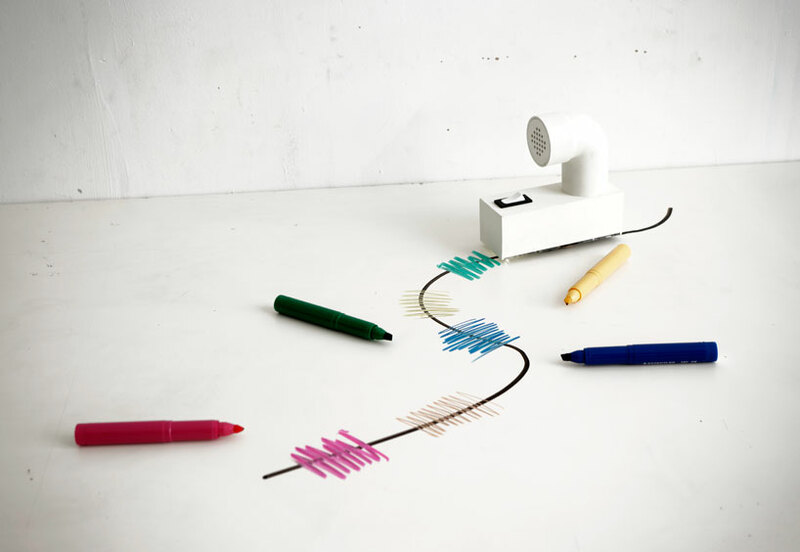 Colour Chasers are small robotic cars designed by Yuri Suzuki that make music from drawings. They can follow a black line and turn any colours which cross this line into music. I collaborated with Yuri to realise a new version of the Colour Chasers for an exhibition at MUDAM Luxembourg entitled 'Looks Like Music'. 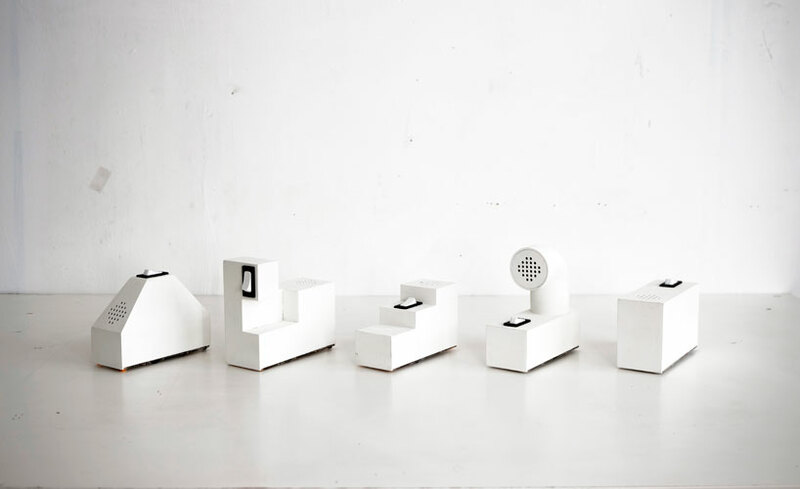 5 new variations of the robots were created, each with a unique sound and shape. 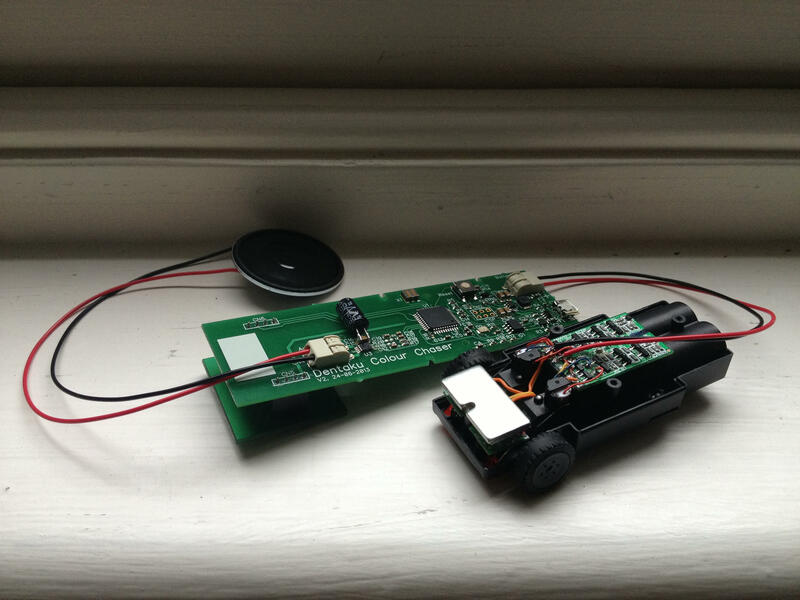 I designed the sound of each of the chasers, prototyped the electronics, designed the interaction between the colour and sound, and worked closely with an electronic engineer to develop the final printed circuit boards. 40 units were produced for the exhibition. The Colour Chasers are part of the permanent collection at the Museum of Modern Art.